I know this was a popular ones last year but some warnings. Born Pretty ships from Asia and have terribly slow shipping to Canada. They say they ship in 24 hours, but a week is more likely then another week to Canada. Once here, they seem to sit in Customs forever or their tracking is highly off. Either way, expect to wait 6-8 weeks for your package to arrive and celebrate if it comes early. As with last year, Born Pretty is getting in on the Black Friday game with 1 cent specials with limited quantities and free shipping on all orders. On top of that, choose from lots of beauty supplies, nail art and phone cases along with random other items at deep discounts. Considering their prices are already super cheap, this works out well for me. 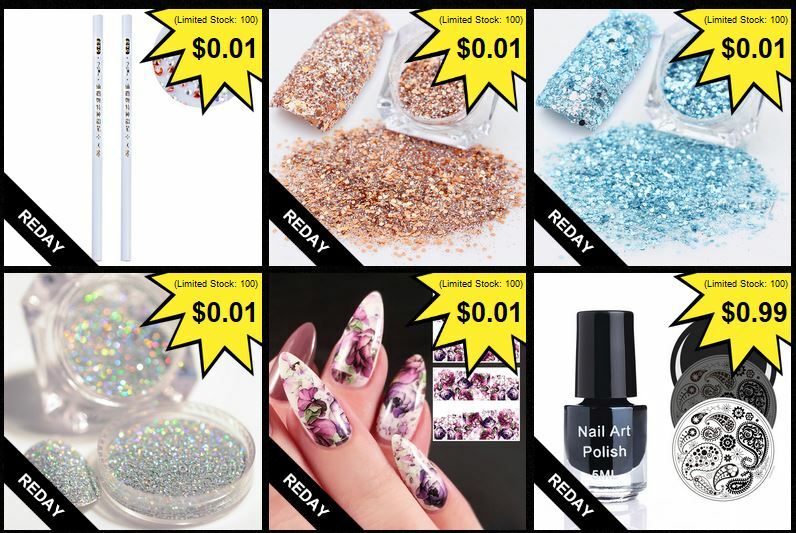 They will have three rounds of doorbuster deals with up to 9 nail related items priced at either 1 cent or $0.99. The first at 10am Eastern on Black Friday, the second at 9pm on Black Friday for those who were out shopping and missed the morning one. 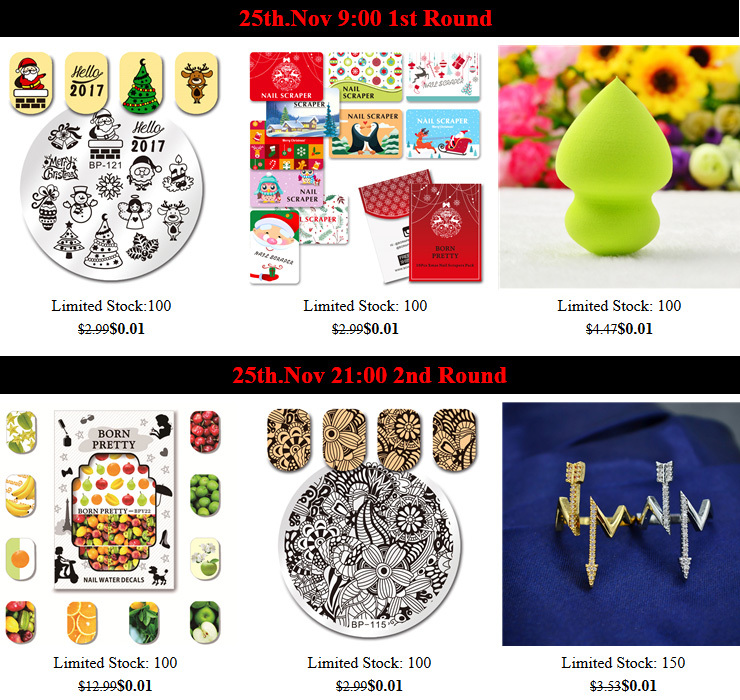 At 1am on Black Friday, they will also have a Christmas item sale with twenty Christmas related items at amazing prices. If you have ever wanted to try nail stamping, their starter kit will be $11.99 and includes 5 stamping polishes, 3 stamping plates, a stamper and scraper – everything you need to get started. 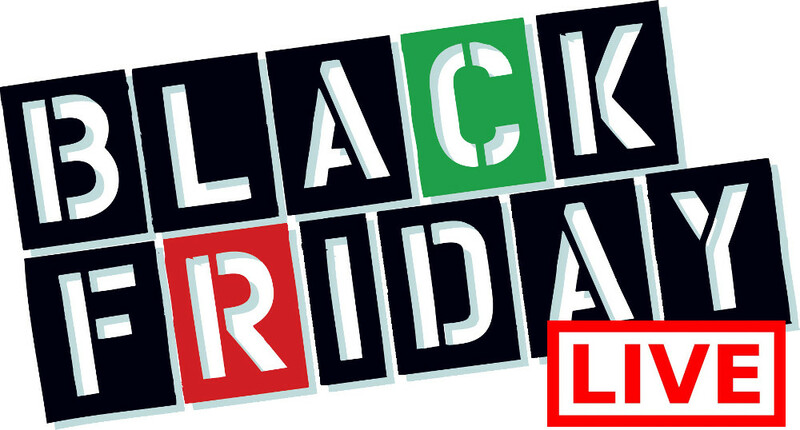 See the deals and countdown clocks for the deals here. If anything you want from the store is not on sale, enter HNEX31 to save 10% at checkout too. If you are looking to spend less, not more on Black Friday and love beauty, be sure to check out the Black Friday sale from the Born Pretty Store. Not only do they have up to 80% off their top 80 products but almost everything in the store is on sale. On top of that, similar to their anniversary sale, they will have 1 cent items available in limited quantities as well as some deeply discounted door crashers available at 10am ET and 10pm ET. Items available at 10am include a Christmas themed stamping plate, nail stamping scraper card an a makeup sponge for only 1 cent each. Choose between liquid latex or a clear jelly stamper for just $0.99 each or their pretty holographic polish for $1.99. If you are shopping tonight they have more non nail themed items available at 10pm. 1 cent items include fruit themed nail decal stickers, a floral nail stamping plate or an adjustable ring. Spend a little more and get an owl themed silver necklace for $0.59 or choose between a Japanese floral stamping plate or long lasting matte lipstick for $0.99 each. Shop the full selection of Black Friday items and save $6 off a purchase of $25 or more with coupon code BF25 or if you go a little crazy, enter BF60 to save $15 when you spend $60. All orders over $60 will get a free gift worth $10 but if you only want a few small items, enter HNEX31 to make your own sale on any non discounted items. Good luck snagging your 1 cent items. All orders will ship free but they do take about a month to reach Canada. You can find these door crashers here. Add them to your cart & refresh when the clock counts down to save time and increase your chances as quantities are limited.